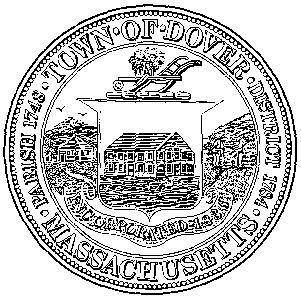 The Town of Dover is an affluent suburban community set between the western and southwestern axis of metropolitan Boston expansion. Incorporated in 1784, Dover relied on agriculture and grazing as the basis for its colonial economy although the ruggedness of its terrain plus the relative lack of water power limited its early growth. The damming of the Charles River in the late 18th century provided some power and allowed the development of mills which made nails and rolled iron, but the future of the community was not industrial. By the late 19th century, Dover was a firmly suburban community some of whose residents had assembled large country estates. Wealthy Bostonians created at least 18 estates between 1901 and 1914 alone, some of them as large as 300-400 acres. Modern Dover is a residential community still retaining much semi-rural character although there has been some development and subdividing of estate lands. Eastern Massachusetts, bordered by Medfield and Walpole on the south, Sherborn on the west, Natick on the northwest, Wellesley and Needham on the north, and Westwood on the east. Dover is 16 miles southwest of Boston and 197 miles from New York City.